Founded in 1989, Aaranyak is a non-governmental organization based Guwahati, Assam, India and focused on conserving nature, natural resources and biodiversity in Northeast India and the Eastern Himalayas. Aaranyak is grounded in the belief that environmental conservation and sustainable management is integral to the welfare of people and their environmental security. In order to achieve its conservation objectives, Aaranyak carries out awareness, education, research, capacity-building and policy advocacy. Aaranyak divides its work into eight principal programs: the Environmental Education and Capacity Building Program, the Community Based Conservation Program, the Water Climate and Hazard Program, the Wildlife Genetics Program, the Northeast Threatened Species Conservation Program, the Legal and Advocacy Program, the Geo-spatial Technology Application Program, and the Wildlife Health and Research Program. 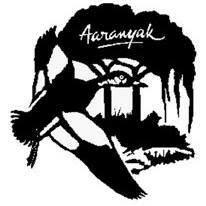 Aaranyak is recognised as a Scientific and industrial Research Organisation (SIRO) by the Government of India. Recently it has won the Indira Gandhi Paryawaran Puraskar (An award instituted in the name of the late Prime Minister of India, Indira Gandhi and given to organisations providing excellent environmental services) for the year 2012, the most prestigious environmental award given to NGOs in the country from the Ministry of Environment, Forest and Climate Change, Government of India.